Hit the trails in a style that is all your own. Designed and approved by the same engineers that created your Honda, you can be confident that every Honda accessory will look great and fit your ride perfectly. 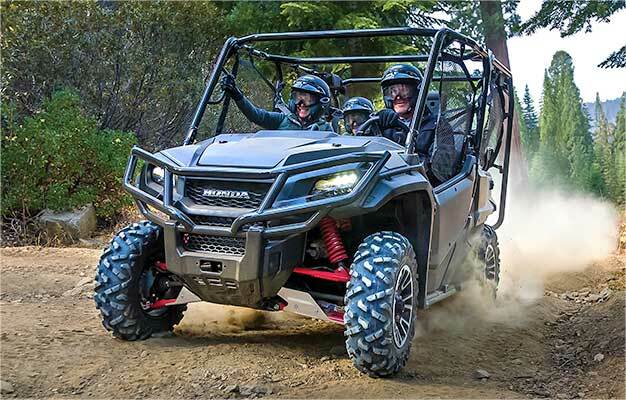 Discover the many ways you can enhance your ATV or Side-by-Side experience with individual or packaged options tailored to give you the additional comfort, convenience and style you need. When it comes time to replace your Honda parts, don't settle for imitations. 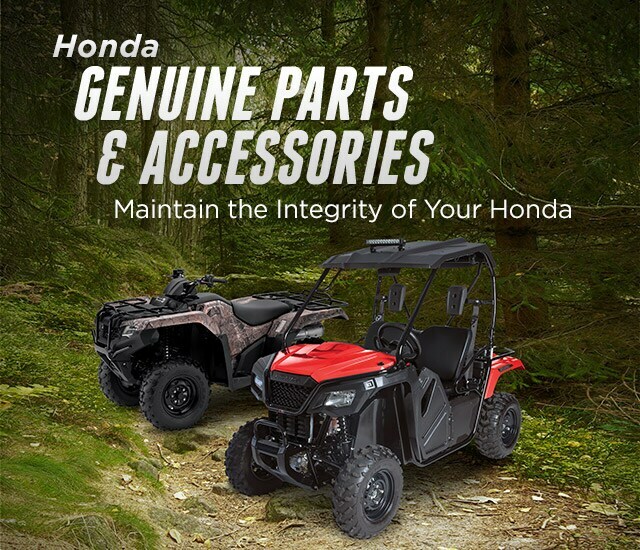 Honda Genuine Parts are built by the same people that designed your ATV or Side-by-Side so you can maintain the original quality, reliability and performance you've learned to depend on. Keep your Honda healthy and trust that nobody knows your Honda better than Honda. Ask for Honda Genuine Parts - every time. 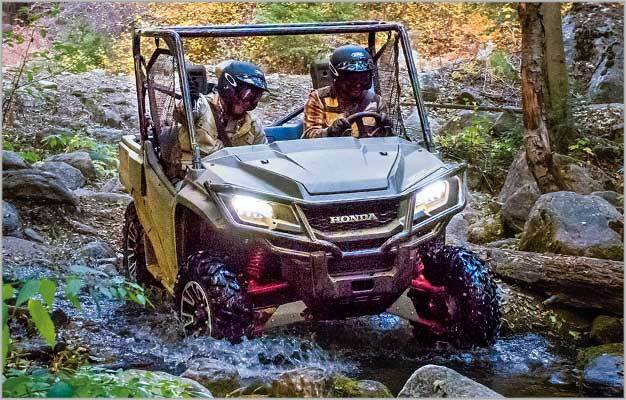 Rigorous R&D testing of Honda Genuine Parts require, and ensure optimal performance levels. Honda engineers naturally require that every Honda Genuine Part always adheres to the highest quality standards. Only Honda Genuine Parts can be trusted to provide you with the same level of performance and reliability as the originals. 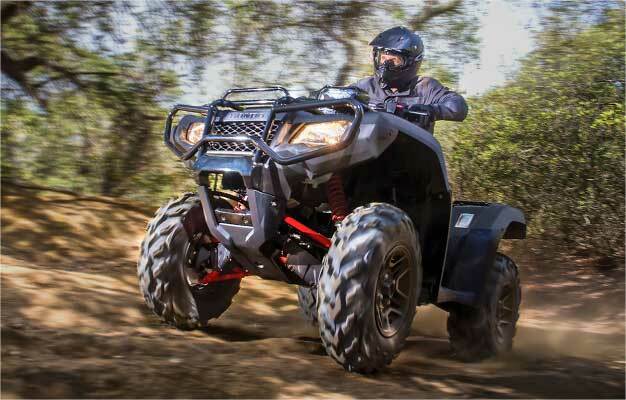 Unlike automobiles, ATVs and Side-by-Sides are uniquely more demanding on oil. Not only do they use the oil to lubricate their transmissions and clutches, they need an oil that’s tough enough to handle transmission wear. Pro Honda Oils and Chemicals are formulated specifically for professional-grade performance and durability with the highest-quality base stocks to keep your Honda running at its maximum performance. Available exclusively at your Honda dealer.